Journal of Environmental Science Studies (JESS) is an international open-access and peer-reviewed journal, with the foremost mission to provide its readers with the latest advancements in environmental science. JESS serves as a widely respected educational resource of elevating the discussion on a range of environmental issues. The journal is published in both printed and online versions. Online publications are free to access and download. The journal accepts submissions both online and via e-mail (jess@julypress.com). 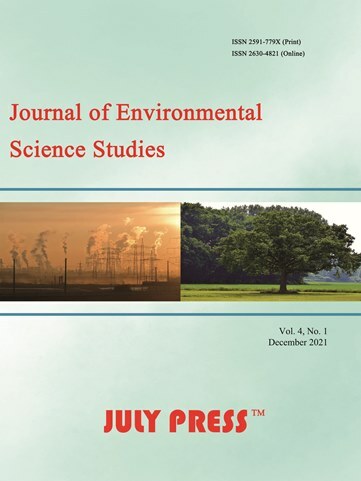 Journal of Environmental Science Studies (JESS) is inviting submission of papers for publication in the forthcoming issue of June, 2019. A length between 3,000-10,000 words is preferred. If you are interested in submitting a paper to this journal, please review the Author Guidelines to see how to submit a paper online.